MELBOURNE, Australia — The feud between Australia's Davis Cup captain and an exiled player escalated at the season-opening major when Lleyton Hewitt said Bernard Tomic threatened him and his family. Tomic, a Wimbledon quarterfinalist in 2011, followed his first-round loss at the Australian Open by saying Hewitt should quit as Davis Cup captain because he favors certain players and is unpopular with others. 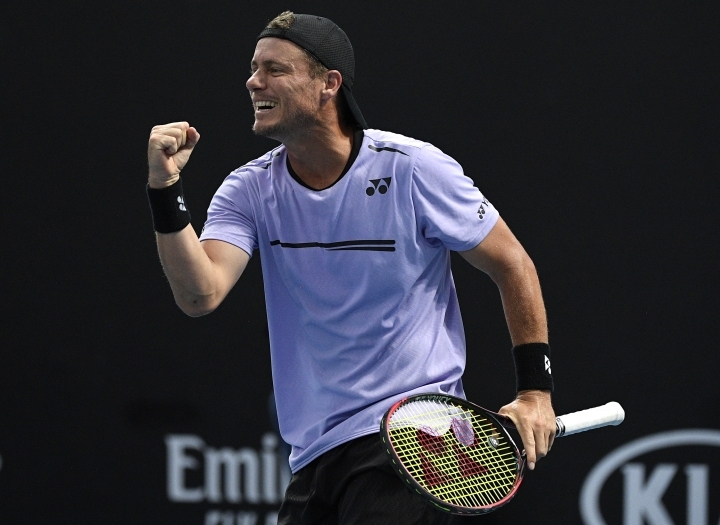 Hewitt, a two-time major winner, said at a news conference after his opening-round loss in doubles Thursday that their conflict originated more than a year ago with disagreements over whether he should grant Tomic wild-card invitations for tournaments. 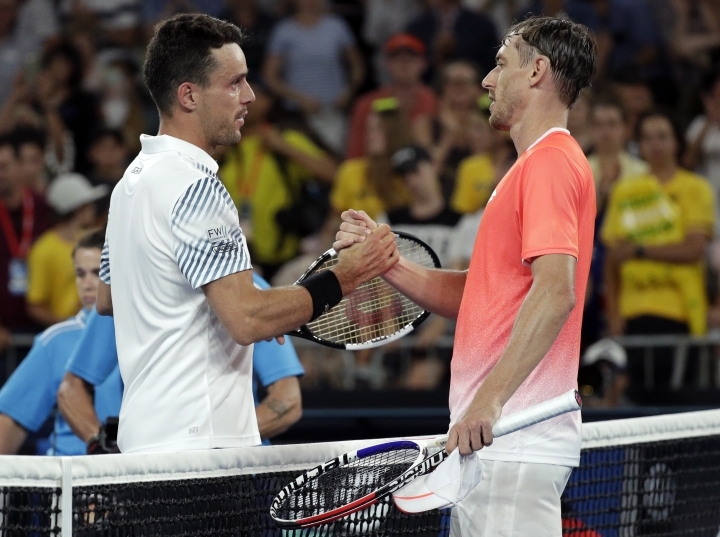 "For me, it was probably the abuse that I caught from him that, yeah, in the end I drew a line in the sand," Hewitt said, adding that there was little chance of reconciliation. "No. No. I think the threats that I've received, for me and my family ... I don't think anyone would reach out to a person that speaks like that." Hewitt didn't go into specifics about the alleged threats, except to say it revolved around wild cards and Davis Cup selection and that he didn't feel personally threatened. Asked if the threats were physical or verbal, Hewitt said it was both. Asked if he felt the threats were empty, Hewitt replies "Yes." Hewitt won the U.S. Open in 2001, Wimbledon in 2002 and helped Australia win Davis Cup titles in 1999 and 2003. He became Davis Cup captain in 2016, soon after retiring from singles. The current friction in Australian men's tennis contrasts with the gentility of past stars like Rod Laver and Ken Rosewall and more recently, the likes of Pat Rafter overruling line calls and giving points to his opponents long before video replays existed. 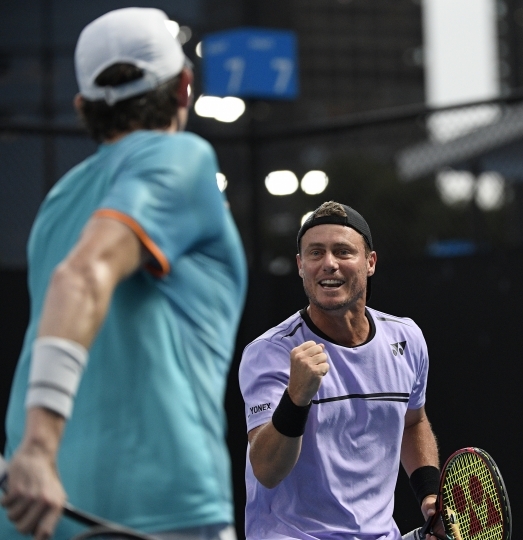 Australian men's tennis is now marked by social media rants and embarrassing on-court comments. And, to make matters worse, few decent results from the senior players. 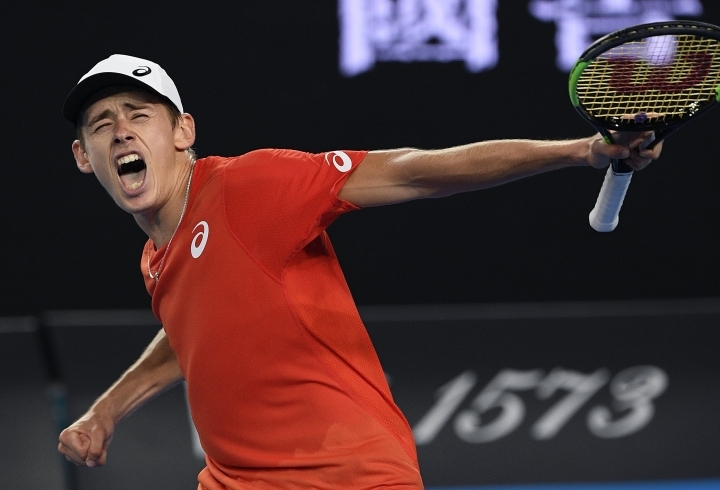 The exception, in a big way, is Alex de Minaur, who advanced to the third round at the Australian Open and will play 17-time major winner Rafael Nadal on Friday. There was more good news when two Australians wild-card entries moved into the third round. 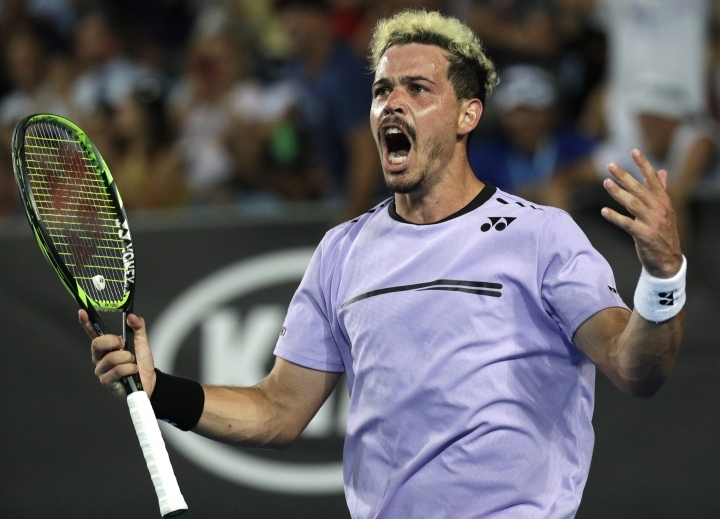 Alex Bolt saved four match points while beating 29th-seeded Gilles Simon 2-6, 6-4, 4-6, 7-6 (8), 6-4 and Alexei Popyrin advanced when seventh-seeded Dominic Thiem retired while trailing 7-5, 6-4, 2-0. John Millman, who reached the U.S. Open quarterfinals, performed well before losing in five sets to Roberto Bautista Agut. Other than that, it has not been pretty. Hewitt wasn't always the consummate "good bloke" — as Australians like to say — in his day, arguing with chair umpires and fellow players and media. But he seems downright mild compared with the likes of the self-imploding duo of Tomic and Nick Kyrgios. 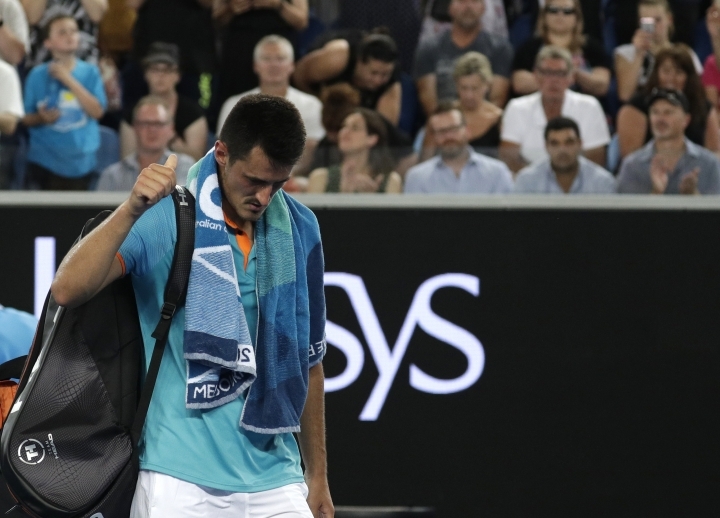 But the way Tomic has been playing he wouldn't have been chosen anyway for Australia's Davis Cup first-round matches against Bosnia and Herzegovina in Adelaide in February. Tomic, however, went a bit further, suggesting Hewitt has a personal interest in players he is promoting. "No one likes him anymore," Tomic said. "We have a lot of issues that not a lot of players are happy about. We all know who those players are. Myself, (Thanasi) Kokkinakis, (Nick) Kyrgios." Hewitt said it was "Bernie being Bernie and losing and going on and complaining." 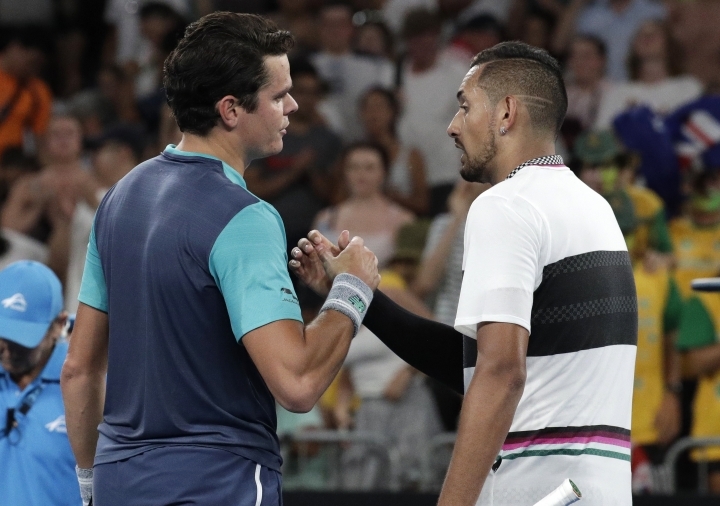 After Tomic's comments, Kokkinakis and Kyrgios denied they had any issue with Hewitt, but Kyrgios's Twitter comments on Wednesday night during de Minaur's match appeared to suggest otherwise. 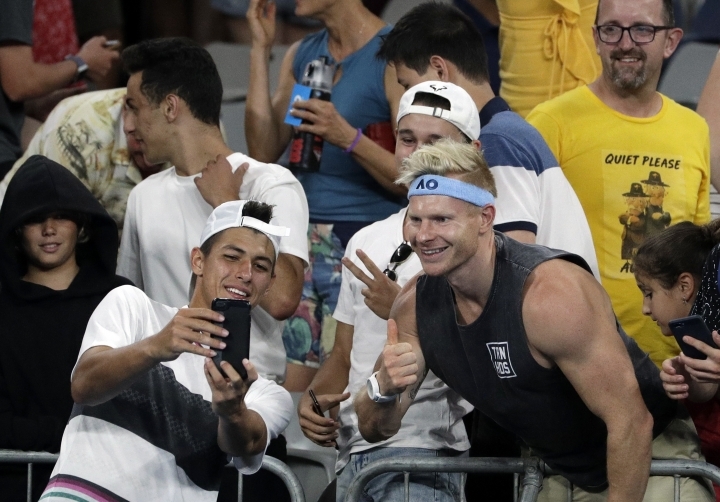 Kyrgios posted a screenshot on Instagram of Hewitt doing television sideline commentary from de Minaur's players' box during the Australian player's five-set win over Swiss qualifier Henri Laaksonen. Kyrgios posted a poll to his followers, asking whose match Hewitt was watching. Millman and No.3 Matt Ebden were playing at the same time. Tomic and Kyrgios reached the Wimbledon quarterfinals as teenagers — Tomic in 2011, Kyrgios in 2014 — but neither has been past that stage at a major since. Both have been widely accused for their attitude toward the game. Kyrgios, who is Australia's fourth-ranked player, removed his Instagram post not long after. Hewitt denied favoring any players, and said he'd welcome any investigation by Tennis Australia into Tomic's allegations. He rejected the notion that Australian men's tennis was in disarray, saying it's disappointing that the performances of de Minaur, Popyrin, Bolt and Millman were overshadowed by all the attention on Tomic's comments. "It's one clown making a silly comment, and that's the main news," Hewitt said. "We got some exceptional players doing exceptional things here. They get one, two weeks a year to shine on home soil. I don't really want to take the limelight away from them." AP Sports Writer John Pye contributed from Melbourne.